In 2018, Google accounted for more than 37% of the US digital ad marketshare and it is expected to grow to more than 80% of all search ad market in 2019. That means Google Adwords is still the top digital advertising platform and can be a great option to bring awareness and generate leads for your property or company. So, just how expensive is it to advertise commercial real estate on Google? 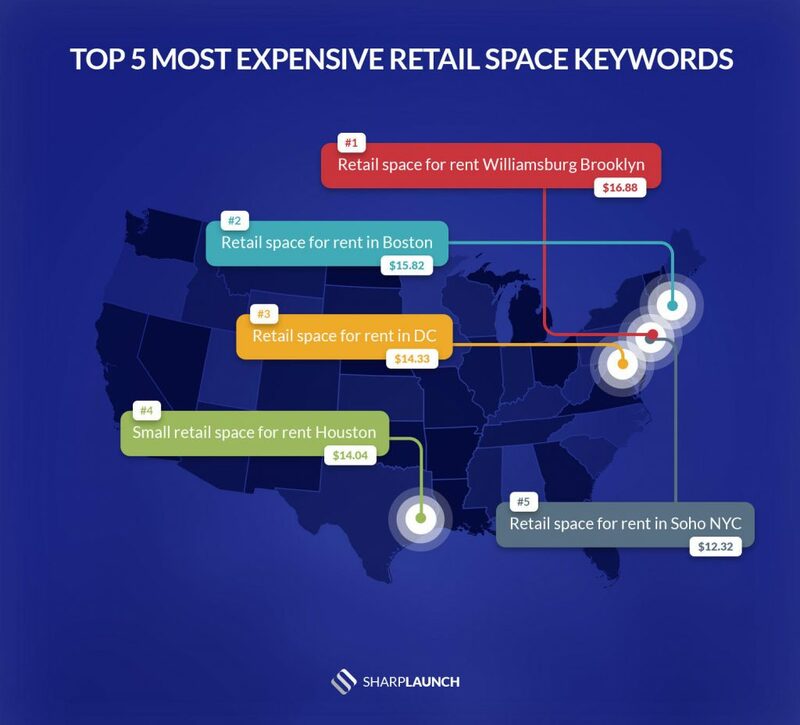 We did an analysis of the most expensive commercial real estate keywords in 2019 ranked by the highest cost per click (CPC) estimate. 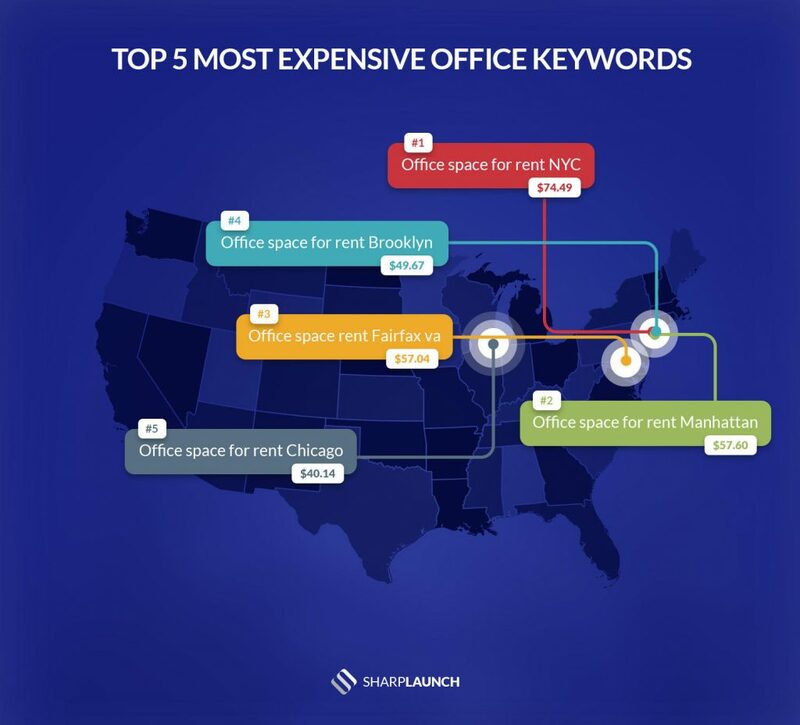 Below is a compiled list of the 20 most expensive office-related keywords ranked by highest cost per click. These results are estimates based on Google Adwords data from SEMRush and close duplicates have been removed. Below is a list of the 20 most expensive retail-related keywords ranked by highest cost per click. These results are estimates based on Google Adwords data from SEMRush and close duplicates have been removed. 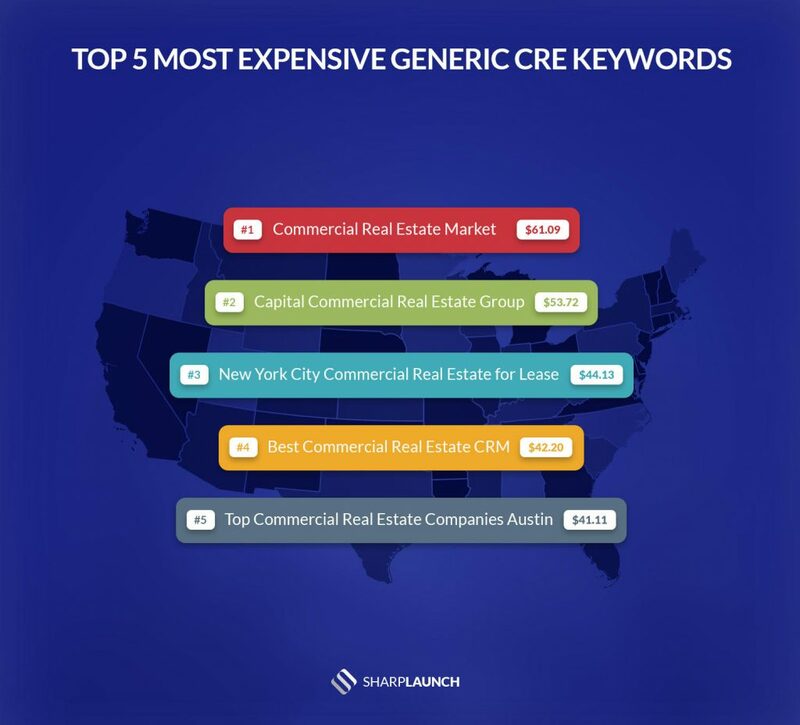 Below is a list of the 20 most expensive generic commercial real estate keywords ranked by highest cost per click. These results are estimates based on Google Adwords data from SEMRush and close duplicates have been removed. Although running an advertising campaign on Adwords can be an effective way to turn up your lead generation, you will need to have a healthy Ad budget if you want to target any of the above keywords. Typically the higher the cost per click for a keyword, means the greater the competition. This also means your SEO efforts for expensive keywords like above will be much more of a challenge and is indicative of competitive landscape for gaining organic visibility in search engine results. However, it is important to think about this in terms of both costs and value. The economics of advertising for competitive keywords could make a lot of sense as a marketing investment if the value of your leads significantly outweighs the costs. Rather useless article, but thank you! Thanks for your feedback! What would you find more useful? Very interesting article. It gives insight into online market competition and designing SEM/SEO strategies.